I was so excited about playing Dungeons & Dragons, but I have a hard time comprehending everything I’ve read in the player’s handbook and dungeon master’s guide. They just aren’t explaining things in the way that I can understand. I have a learning disability, so I need things to be broken down for me to make it easier to learn. 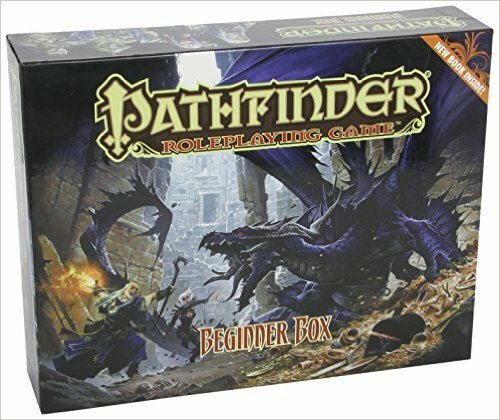 Amazon has the Pathfinder Roleplaying Game: Beginner Box for only $25. I’ve read a few reviews saying this is much easier to learn than D&D, and that’s enough to convince me. I was looking at the description and this is what is in the box. The Pathfinder Roleplaying Beginner Box includes: a 64-page Hero’s Handbook, a 96-page Game Master’s Guide, a 16-page Transition Guide to bring your hero to the full Pathfinder Roleplaying Game, a complete set of seven high-impact polyhedral dice, more than 80 full-color pawns depicting tons of heroes, monsters, and even a fearsome black dragon, four pregenerated character sheets to throw you right into the action. Pathfinder also has a huge map that is basically a dry erase board with a dungeon on one side, and blank on the other side so you can draw your own dungeon. You can erase it and draw another one, and so on. What I love the most about the Pathfinder Roleplaying Game Beginner Box is that it comes with 80 full-color pawns depicting tons of heroes, monsters, and even a fearsome black dragon. 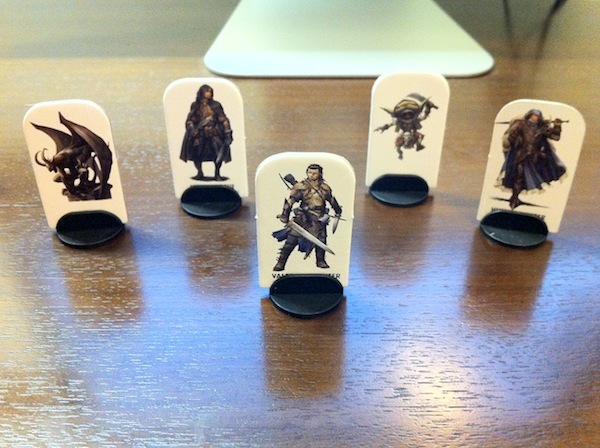 I was disappointed with the D&D starter set because it didn’t come with these. These are what make the game playable in my opinion. I mean, I have the D&D Wilderness Tiles and I was forced to buy all these plastic toys like skeletons and what have you. I’m sure those will still come in handy, but these are what I actually wanted because they fit in the little squares. The skeletons I bought are too big and take up 4 squares. This video is from the publisher. He shows you exactly what you get in the box so you can see for yourself. I personally think that this is going to help me learn to play better than D&D’s starter set did. Enjoy and thanks for reading.